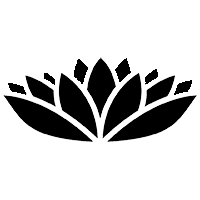 Brooklyn Yoga Collective is a diverse group of yoga practitioners and educators with unique backgrounds and stylistic approaches to yoga. Our collective focus includes a wide variety of yoga styles, traditions, and practices. While the classes and teaching styles may vary considerably, BYC is tied together by our dedication to sharing the teachings and benefits of yoga in a way that is accessible to everyone. We encourage students to explore all of our classes to find which ones work best for them. All levels & bodies are welcome. - eliminate competition amongst instructors who might otherwise vie for student attention and/or the most desirable class times. - encourages instructors to teach classes based on the value to the students, even if those classes are not "popular" or do not have high monetary earning potential (i.e. specialized classes). - maintains a fair relationship between the success of the studio and the reward to the instructors as workers--as the studio grows, so too does instructor compensation. Please click on any class above to learn more. For a complete class description click "more details". April is an Advanced 800-hour Certified Jivamukti Yoga teacher. She began her yoga practice in 2008 as a preparation for surf camp in Costa Rica, but fell in love with yoga and only fell in-like with surfing. Her yoga practice sustained her through her corporate career. Handstands in hotel rooms helped alleviate the demands of an intense travel/work schedule. After 7 years as a campus recruiter for the financial industry, April attended NYU and earned an MA in School Counseling. She is known for teaching to all levels of students, offering multiple options and challenges for everyone, yet always alignment focused. She is also known for her love of Sanskrit, fun music, and her powerful and meaningful assists. Chana Porter is a 500 hour ISHTA Yoga trained teacher and bodyworker who specializes in safe alignment, gentle flow, and a breath oriented practice. She was certified as a teacher in 2012 and has been practicing yoga for the last fifteen years. Chana's classes focus on the mind-body connection, cultivating internal space in our hectic lives. Christa discovered yoga at a church in Texas during undergrad college in 2007. Inspired by the layers of yoga, despite having had very little training, she shared the practice with her co-workers after work each week. After spending years as a classroom teacher and then a high-end nanny, Christa decided to pursue her passion and received her 200-hr certification from Yoga Vida in 2014 under the mentorship of Chloe Kernaghan. Drawing from her years working intimately with children and families, Christa sought further education and earned an additional 85-hr certification in 2015 from the Prenatal Yoga Center under the direction of Deb Flashenburg and Sage Caprice Abowitt. Christa has overwhelming gratitude for these astounding teachers, as well as Rima Rabbath, Goldie Graham, and Sweta Vikram. Christine started her yoga practice in earnest while working as an arts educator for New York City schools. Yoga became a natural extension of her interests in understanding energy as it relates to the mind and body and connecting to the world around us. She believes yoga is poetry for the body as well as a powerful and transformative way of life that fosters love and empathy. Christine received her 200-hour yoga teacher certification from Joschi Yoga Institute and Yin Yoga certification at Pure East. She bows down in deep gratitude to her teachers that have helped show her the light inside all of us. Corinne, MFA/ CLMA/ RSMT-E, completed her Yoga Teacher Training with Kula Yoga Project, 2013. Heavily influenced by her background in Modern Dance, Contact Improvisation, and Somatic Therapy modalities (particularly Bartenieff Fundamentals™ and Body-Mind™ Centering), Corinne teaches an ever-evolving Hatha-based Vinyasa style, specializing in Meditation, Restoratives and Therapeutic Yoga. Elizabeth received teaching certification through Jivamukti Yoga in 2008. She practices and teaches yoga as a path to enlightenment. She offers hands-on assists throughout a rigorous asana practice with yogic philosophy woven throughout. Expect wonderful music- starting with chanting, then practicing to an eclectic playlist. Sing, sweat, and then surrender. An overwhelming gratitude for sitting at the feet of dear teachers fuels Elizabeth's passion to pass on this hip and holy yoga practice. Thank you Sharonji, Davidji, and Julesji! Erica first came to yoga eleven years ago in search of an exercise regimen to complement her dance study. The fusion of breath and movement in each pose offered the empowering practice she was looking for to calm the mind and enliven the spirit. Erica views yoga as moving meditation. Her mission is to guide students through a refreshing vinyasa practice that celebrates the beauty and strength of each individual. Erica completed her 200-hour teacher training at Sacred Sounds Yoga and is grateful for this opportunity to teach in her community. Jamie has been practicing yoga for 10 years. For her, yoga is a constant reminder to stay present and to cultivate gratitude, kindness, mindfulness, and breathe through every moment that life presents. Jamie’s classes are Vinyasa flow, and the physical practice travels up the seven Chakras throughout. She includes chanting, poetry, and mudras to help set the theme and present students with a point of focus. Jamie approaches each class with a sense of playfulness and laughter, so that every moment can be an opportunity for discovery, exploration, and joy. Jamie received her 200 hour certification from Laughing Lotus, NY and is excited to continue towards her 500 hour certification. She holds a BFA from New York University's Tisch School of the Arts. Jessica is a body positive yoga teacher and activist. Her sequences are inspired by a 200-hr Vinyasa training, but she is also heavily influenced by her personal practice of Yin Yoga. She believes that yoga is for all bodies and strives to make her classes accessible to everyone Using methods learned in a 25-hr Yoga for All training, Jessica encourages students to find compassion for themselves in every posture and in every decision on and off the mat. Jessica is currently a student at the NYC based Anatomy Studies for Yoga Teachers, where she hopes to learn tools for a more comprehensive understanding of yoga asana, modification, and injury prevention. Jessica also has a Kids Yoga certification, and regularly teaches youth ages 1-12 years old. Teaching yoga to children allows Jessica to witness the pure joy of movement and the power of play—themes that she loves to incorporate into her adult classes. Jessica is also a part-time engineer and co-founder of My Body Does, an affirming body positive community inspired by the inherent value of all bodies. But mostly, she teaches, practices, sequences, and obsessively talks about yoga. Joanna stumbled into her first yoga class her first year in college in New York City. Within a month she began practicing 3 or 4 times a week. In June 2013, Joanna did her teacher training at Yoga Vida. She continued her studies in Yoga Vida's Mentorship Program under the close guidance of Cat Acquaviva. She is grateful to her many teachers and hopes to pass those teachings along in her classes. Joanna offers hands on assists and careful alignment cues to make the practice more refined. Her classes welcome beginners and advanced students alike. She is a believer that yoga has the power to heal and to balance our lives. Kiersten was first exposed to the physical aspect of yoga as a young girl, practicing with her mother. But she truly fell in love with yoga around age 18 at her original home studio of Yoga to the People -- Seattle. After four years of heavy Vinyasa practice, Kiersten found herself drawn to the slower-paced, joint-centered Yin Yoga, as well as deeper awareness of the subtle bodies through Ayurveda and Buddhist philosophy. She now strives to strike a balance between strength and surrender, both in her personal practice and in her teaching. Students are encouraged to explore the edges of their limitations, while working to cultivate steadiness and ease in the body, mind and heart. Om Shanti. Lu has walked a long and windy spiritual path, up and down mountains and deep into jungles, all to find the clear voice of knowing that spirituality is within her wherever she goes. After studying various spiritual practices and healing traditions over the past decade, she found that dancing is the most joyful and empowering way to reconnect with her soul. To embody both pain and power, to remember light and let it shine. Lu’s aim is to create both a safe and exhilarating space for people to experience similar reconnection with themselves, and to have an amazing time doing so! Lu looks forward to dancing with you! Seeking inspiration and a higher level of consciousness, Martine cast aside her acting career to share her passion for yoga. She discovered yoga in college and since then has sampled various styles such as Ashtanga, Vinyasa, and ISHTA. It wasn't until she stepped into Sri Dharma Mittra's class that she felt a connection and then chose to complete her certification there. Martine's classes consist of breathing exercises, endurance building asanas, guided relaxation, and meditation; as she is also a Transcendental Meditation (TM) practitioner. As a teacher (and always a student), Martine's intention in her classes is to create a safe and supported space where everyone can experience patience, a deeper level of awareness, and ultimate freedom within. Monica is a meditation/yoga teacher based in New York. She is a firm believer in a solid handshake, the power of meditation, and that Juliana's pizza is way better than Grimaldi's. She lives in Brooklyn with her wonderful husband and you can often find her writing, cooking, chilling on the beach or dancing on a subway platform. Monica's classes are warm, challenging, and supportive. Students are encouraged to move to their degree in their practice. She often reminds her students that a posture is only complete when you are breathing. Pashupa means "protector of the animals" in Sanskrit, the ancient language of yoga. Seeing his own life and many lives around him transformed by the practices of yoga, he feels compelled to share these benefits. His classes are playful and accessible to all, filled with uplifting music, chanting, vinyasa sequencing, meditation, and insightful dharma talks. He is a certified teacher of Jivamukti Yoga, a lineage that offers a path to self-realization through compassion towards all beings. He hopes to ignite the passion in every student that will create an engagement with the world, so that we may all help one another awaken to the possibility of a conscious evolution of the human potential. In addition to principal yoga, Priscilla also has Yin and Pre-Natal certifications. Her yogic sequences and instructions incorporate flow and vigor, physical alignment, breath, and creativity, in order to help the students awaken and grow rather than bore and stagnate. She strives to function as a conduit for her students, a hand to guide them down their individual private paths. Born and raised in the West Virginia hills, Rebecca grew up with a foundation in ballet and an admiration for nature. She attended her first yoga class in high school. It wasn't until college graduation in 2010 that the practice began to evolve both physically and spiritually. In Spring 2014, she completed her 200-hour certification with Yoga Vida and continued her education there under the mentorship of Chloe Kernaghan. Her focus as a teacher is to combine her love of movement through the physical asana practice with great music and a playful sense of humor. She hopes to share her passion for yoga with others through creative and thoughtful sequencing. Sasha teaches a flowing vinyasa-style yoga class that emphasizes asanas, pranayama, and precise attention to alignment. She believes that steady yoga practice helps build muscular strength and endurance, loosen joints, and increase overall flexibility, but that the true benefit of yoga lies in its ability to help quiet the “fluctuations of the mind” (“chitta-vritti”). Thus, Sasha puts a great deal of emphasis on using breath as a tool to help focus the mind and stay present in the moment. Sasha moved to New York City in 1997 from New Haven, Connecticut, and fell in love with yoga shortly thereafter. Yoga has helped her to become a stronger and more flexible person both on and off the mat. In 2005, she completed a 200-hour TT program at OM Yoga directed by Cyndi Lee; she is currently working towards her 500-hour certification at The Shala Yoga House with Kristin Leigh and Barbara Verrochi. Sasha is deeply grateful to all of her teachers past, present, and future, and feels honored to share their teachings with others. Michael is a big believer in the power and benefits of yoga; he appreciates the opportunity to quiet the mind and find a true state of presence through yoga practice. Dedicating much of his attention to better understanding the human connection, Michael believes that yoga and meditation are valuable tools in helping people connect with themselves and with each other. Michael is not an instructor, he is a behind-the-scenes helper at BYC. Classes are offered at a sliding scale of $7-15. We accept cash payments only. There are no advance registrations--all classes are on a drop-in basis. Students determine for themselves what price within the $7-15 range they are able to pay based on their own financial situation. This encourages students who are more financially comfortable to pay at the higher end, while enabling students with less financial flexibility to pay a more affordable price toward the lower end of the scale. Why use a sliding scale? Our mission is to make yoga accessible to everyone. By making yoga more affordable, we can attract a wider spectrum of people. We think that being fair doesn't necessarily mean everyone pays the same, but it does mean that everyone has the same opportunity to attend.